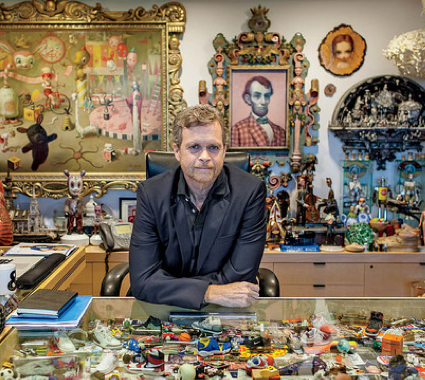 Kudo's to Wall Street Journal for one of the for a great look in to a day in the life of Nike's CEO, Mark Parker. Don't forget to click through the interactive pictorial graphic either. WERE YOU TO RUN into Mark Parker, Nike's NKE +0.74% CEO, on the company's pristine Beaverton, Oregon, campus, you might mistake him for one of the 21 PhDs who work in the athletic powerhouse's top-secret research lab. As a track star at Penn State (and an early tester for the magazine Runner's World) who put in double-digit mileage daily, he used to tinker with his own running shoes, and it was this right-brained DIY sensibility that landed him at Nike's R&D lab in Exeter, New Hampshire, in 1979 as a young designer. He went on to work with the late Nike cofounder Bill Bowerman, the hard-edged University of Oregon track coach whose motivational quotes now adorn the walls of Nike stores. Fast forward 34 years later, and Parker is still directly involved in shoe construction, walking into meetings holding his Moleskine MSK.MI -1.25% graph-paper notebook filled with doodles and wearing new prototypes on his feet—to the great alarm of his minders, charged with keeping said prototypes under wraps.